By Office for the Advancement of Research in John Jay Scholars on the News on May 31, 2018 . In mid-April, New York Governor Andrew Cuomo signed an executive order re-enfranchising paroled persons with felony convictions. The move sidestepped the Republican-controlled state legislature and does not change state law; instead, the governor intends to issue pardons for individuals convicted of felonies and currently on parole in New York – up to 35,000 individuals – as well as pardoning any new felons entering the parole system each month. The order has been criticized on all sides, both for overstepping the bounds of gubernatorial power as well as for not going far enough to address criminal justice and electoral reform. We asked some of our own faculty and staff what they thought of the move, and whether it might be a harbinger of further voting reform for the justice-involved, both in New York State and across the United States. Gloria Browne-Marshall (Associate Professor, Constitutional Law): Only about seven nations disenfranchise formerly incarcerated citizens. Alison Wilkey (Director of Public Policy, Prisoner Reentry Institute): The impacts of disenfranchisement on communities have intensified with mass incarceration. In 2016, the Sentencing Project estimated 6.1 million people were disenfranchised as the result of a felony conviction [in the United States]. Why is re-enfranchisement such a significant step? What do you believe the impact will be? Dr. Baz Dreisinger (Professor, English): Denying those with justice involvement the right to vote is an unparalleled injustice. It’s about time that this be addressed. Gloria: To withhold the right to vote due to a felony conviction is called a Civil Death. Re-enfranchisement is necessary for re-entry into society. To be placed outside of one’s community is the intended punishment. Once completed, the punished must be re-admitted into society as full members. This includes participation in the political process. All voting rights should be given once imprisonment has ended. Alison: The right to vote is both a fundamental right and an important responsibility. Voting is the cornerstone of democracy and ensures that citizens are able to play a role in shaping our government. Re-enfranchising individuals on parole in New York State is a significant step towards ensuring a more participatory democracy and equitable society for all. Governor Cuomo’s executive order will have significant impact on the re-entry process [i.e., individuals returning to society post-incarceration]. Successful re-entry often depends on opportunities for meaningful community engagement. Voting will ensure that individuals on parole have the opportunity to exercise their political voice and formally contribute to their communities. Re-enfranchisement will also have a generational impact. According to the Urban Institute, 2.7 million children have an incarcerated parent, and more than 5 million children have had a parent in prison or jail at some point during their lifetimes. In many states, formerly incarcerated individuals are disenfranchised even post-sentence, after parole or probation. When parents or older family members are unable to participate in elections, children and younger generations lose their most direct model for civic engagement. Granting individuals on parole the right to vote will ensure that the children and family members of (formerly-) incarcerated individuals more often become involved in the political process. Dr. Heath Brown (Associate Professor, Public Policy): Voting is one of the most important ways to participate in the democracy, so restoring voting rights is a meaningful way to encourage full participation and a truly just society. The impact of restoring voting rights will depend on actual registration and turnout, however. Unfortunately we do not make it very easy to register, even for those who are fully eligible. Voting is also not always easy, especially for those working long hours. Lowering all barriers to full democratic participation would be the best guarantee that all voices are heard on Election Day. Do you believe there should be any qualifications or exceptions to re-enfranchising the formerly-incarcerated population? Alison: PRI firmly believes that all individuals, regardless of their involvement in the justice system, should have the right to vote. There should be no moral or character requirement for enfranchisement. What do you believe is the likelihood or rate at which this population might exercise their right to vote, if re-enfranchised? Gloria: The Supreme Court is deciding a current case based on whether citizens have a right not to vote. The formerly convicted have a right not to vote. It’s their decision how and when they choose to exercise this and any other Constitutional right. Alison: Re-enfranchisement will only be as successful as the attendant voter education effort, which needs to be proactive and accessible. Government agencies, community-based organizations, community leaders and grassroots groups have an obligation to communicate with individuals on parole to ensure robust voter registration and subsequent voter turnout. Heath: Voting is a habit, so those who voted prior to incarceration likely will return to regular voting quickly. I worry more about those who were incarcerated as teens, having never voted. It is for these citizens that a thorough program of civic learning would be most beneficial. I hope colleges, like ours, and civic groups can come together to develop programs to encourage voting and teach about democratic practices. We shouldn’t accept voting as a right that only those citizens who feel most informed and comfortable do. Re-entry programs should add democratic participation to their already Herculean efforts. Under President Mason’s leadership, I hope the John Jay community will lead this movement to promote full voting participation. Do you think this move by Governor Cuomo has the potential to influence or spread to other states? If so, which ones? Heath: Substantial political science research shows that innovative state policies spread and diffuse to other states. When it comes to voting issues, partisan conflict will surely factor into whether other states look to New York and this recent decision. 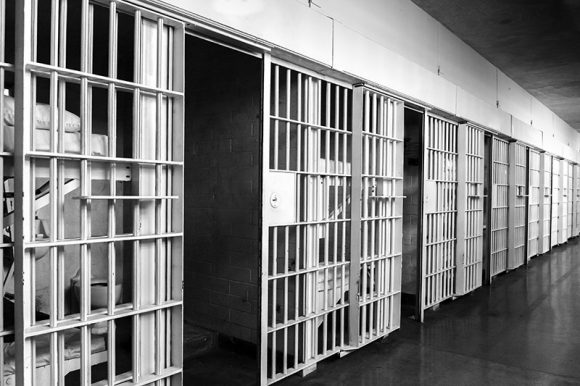 Gloria: Hopefully, New York will influence New Jersey and other states with long parole and probation periods that leave some formerly incarcerated persons in a “civilly dead” limbo for nearly a decade. Baz: Since this is an archaic, discriminatory and utterly ridiculous law, it seems inevitable that it will collapse nationwide. Alison: Gov. Cuomo’s executive order represents a wider trend in criminal justice reform that addresses the impact of disenfranchisement. Currently, only Maine and Vermont have granted incarcerated individuals the right to vote. New Jersey is considering similar legislation, and Virginia Governor McAuliffe signed an executive order similar to Gov. 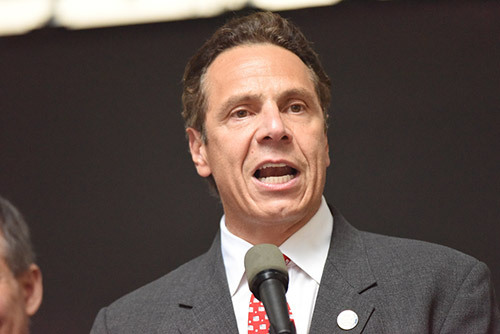 Cuomo [in April 2016]. Moreover, the People’s Policy Project report Full Human Beings notes that “several pieces of legislation are being advanced to enfranchise every citizen silenced through incarceration” at both the state and federal levels. Are you for extending the vote to currently incarcerated individuals as well? If so, should they be registered to vote in their home districts or the districts in which they are incarcerated? Alison: PRI believes in giving incarcerated individuals the right to vote in their home communities. 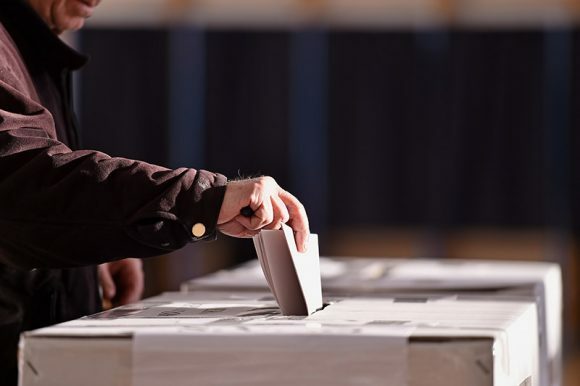 Participating in the electoral process in their home communities will help incarcerated individuals maintain a connection with their communities, promote civic engagement, and ensure that the wider communities’ needs are addressed. Re-enfranchising incarcerated individuals will therefore impact local and national policy on issues that have a direct impact on communities with high rates of incarceration. Gloria: Voting qualifications are determined by the states pursuant to the US Constitution. Good conduct has been considered a qualification for voting since the colonial era. So it would be difficult for states to allow the incarcerated to vote based on the conduct qualification, political expediency and distribution of power. With over 2 million incarcerated, the prisoner vote would greatly impact the political landscape. If the incarcerated could vote, then should they be able to run for office? 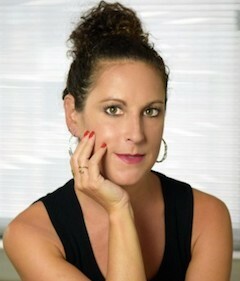 Alison Wilkey is Director of Public Policy at John Jay College’s Prisoner Reentry Institute. 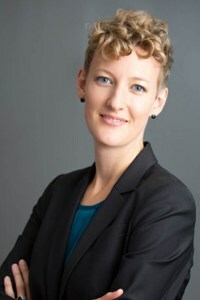 Alison joined the Prisoner Reentry Institute as the Policy Director in December 2015. Prior to joining PRI, she worked at Youth Represent as the Director of Policy and Legal Services, and as a staff attorney in the Criminal Defense Practice of the Legal Aid Society in Manhattan. 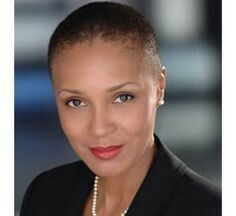 Ms. Wilkey served on the Broad of Directors of the New York County Lawyers’ Association, serving on the Justice Center Advisory Board and numerous other committees. She sat on the Criminal Courts Committee and the Corrections and Community Reentry Committee of the New York City Bar Association. Ms. Wilkey is a graduate of Columbia Law School. Dr. Baz Dreisinger is Professor of English at John Jay College. Dr. Dreisinger works at the intersection of race, crime, culture and justice. At John Jay she is the founding Academic Director of the college’s Prison-to-College Pipeline program, which offers college courses and re-entry planning to incarcerated men at Otisville Correctional Facility, and broadly works to increase access to higher education for incarcerated and formerly incarcerated individuals. Her most recent book, published in 2016, is Incarceration Nations: A Journey to Justice in Prisons Around the World. Gloria Browne-Marshall is an Associate Professor of Constitutional Law at John Jay College. Professor Browne-Marshall teaches classes in Constitutional Law, Race and the Law, Evidence, and Gender and Justice. She is a civil rights attorney, playwright, and the author of many articles and several books, including The Voting Rights War: The NAACP and the Ongoing Struggle for Justice, and Race, Law, and American Society: 1607 to Present. 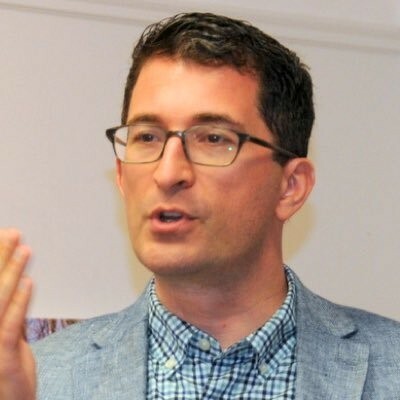 Dr. Heath Brown is an Associate Professor of Public Policy at John Jay College, City University of New York, and the CUNY Graduate Center. In addition to his teaching and research, Dr. Brown is Reviews Editor for “Interest Groups and Advocacy” and hosts a podcast called “New Books in Political Science,” where he interviews new authors of political science books. He is also an expert contributor to The Hill, The Atlantic magazine, and American Prospect magazine. Thank you, and so pleased you are finding these posts informative! Stay tuned for more John Jay Scholars on the News later in the summer. Greatly appreciated, very well-articulated and the detail is superb. Thank you for your effort. I actually looking such website for me. Just now I have read this web information attentively then I got lots of valuable information from here. I will share this website with my friends and hope that they will be happy for this information. Thank you, and we are so glad that you are finding these posts informative! We hope to have more posts coming soon. I will signed up for your newsletter, I hope keep up the informative posts.